Here at TMP we know how challenging it is for you when your business expects more. More hires, increased diversity, better quality- all of that in less time. This autumn we want to give your talent & resourcing team some practical tips on how to implement change in your current model. 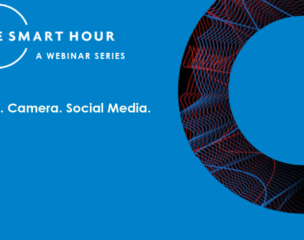 Our interactive and engaging SMART HOUR series is going to get under the skin of the problems organisations face, analysing some of the symptoms and discussing ideas and tools that you can apply to your talent challenges. More than a billion people are now on YouTube. In a single day 500 million people watch Facebook videos (85% of them without sound), and 10 billion videos are consumed on Snapchat. With engagement rates for video soaring above text and images combined, and the rise of vertical video, how can you build this incredible opportunity into your Employer Value Proposition? Sign up below and get ready for this on demand webinar on all things social. Follow us on our social media channels for updates on this event and lots of other exciting talent content.